Let me start this entry by saying there’s a lot I don’t know about my Family Tree…seriously I should do some intense research in the future but thanks to Aunts, like Tita Dinah (ehem), I’m slowly getting bits and pieces of my family history, she just posted this a few minutes ago on Facebook. My ancestor who’s also named Maria Regina…how crazy is that? And I wasn’t even named after her. At least now I have a face to go with the name, do I look anything like her? Jeminah says I do. Anyhow, I’m making this post short and straight to the point. It’s October, it’s officially fall and let’s just say that there are a lot of things to look forward to: John’s turning 8, Angelie’s turning 12, The Renaissance Festival, Haunted Houses, Vegas Vacation, Costume Parties, the Rosary month, my official blog and one month down (8 more months to go) until Marco moves here. Crossing my Fingers.Nothing but Good Vibes. Good Night Houston and Good Morning Philippines! coool! 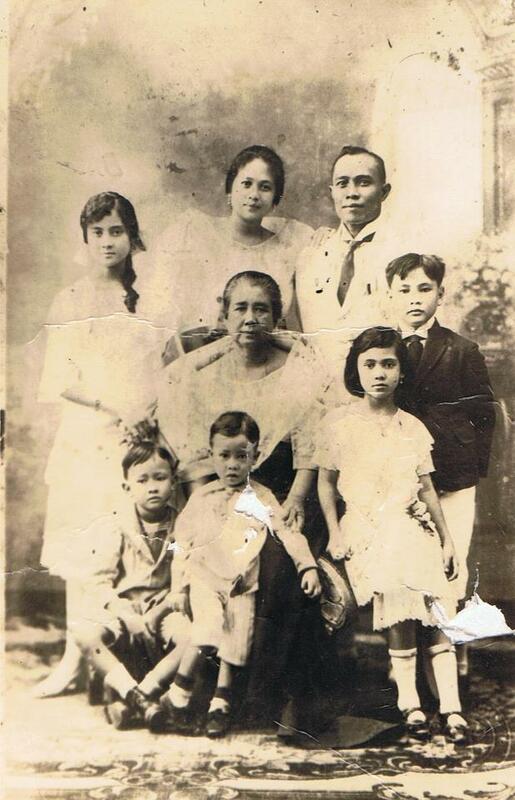 Your family had Veloso ancestry too! We’re probably related somehow. LOL. Miss you & love you! Yeah! We actually might be, haha. If I do find out, I’ll let you know. Miss you kathleen! Hope the wedding planning is turning out fine. Let me know if you need help k? Love you!